Looking To Get Back in the Stock Market? 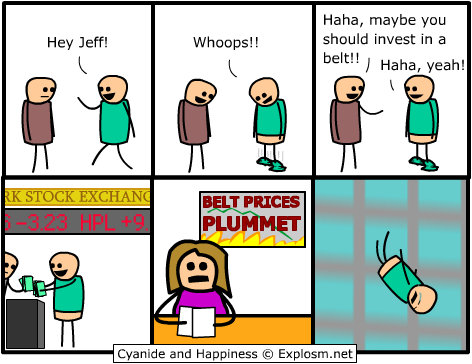 Looking To Get Back in The Stock Market? Be careful, and make a plan. Tough choice, (November 26th 2008) Market trends seem to be ever changing. I have put a buy list together. This is a good starting point. Fundamentals change quickly. My Buy list targets include MDR, MTW, CME, C, HAIN, YGE, Yingle Solar has been beaten up with declining margins; but, supported by locked in government contracts. CME has took a recent dive as the market has perged so many hedge fund investors that have left the market for one reason or another. Chicago Mercantile Exchange has strong earnings, and has a great business hosting futures trading. New government legislation bringing in new traders with a is essentially the market maker. I am sure CME can make profitable margins, and should continue to focus on consolidating markets while creating a participant conscious market. I took GOOG off my buy list because of declining margins and fear of declining numbers across industry players. Last month Google was a favorite. Best hope some new model that better reconizes Google value to the world. Citi Bank looks to have a big upside potential and only $7 left until zero. I hope have a really good chance of making money over the long run. You can make a fortune buying and selling at the extremes of this market is a comment from the Kirk Report. (Ocotober 31, 2008) I am staying out of investing at least until the new year. Very excited about locking in my first year of tradig profits. In addition to a recent removal of an adrenal gland in the wrong place makes me understand stock trading is not for myself. I still like to watch, and reflect on the market developments. The biggest thing I learned is to lower my expectation and limit how much I watch the market. Be patient, and wait for stocks to move into your target buy or sell range. Keep hard work, experience, and sense of humor on your side. The market still has life to it. Traders moving the market when it goes higher, and over exuberance relentlessly leaves profit on the short side. Investors are buying long term here and some are selling. Green Span comments early in 2008 on U.S economy did put our economy exposed to high oil prices. GOOG – is gaining market share today, and offering value. GOOG price multiple for years after 2010 are too low. Goog seems to ad value and create opportunity. Risks remain in slowing trends in advertising budgets. YGE – Solar pricing should be strong with government assistance; but, depressive oil prices could be diffucult. Reasonable priced growth stock. COF – The recent injections of cash should boost earnings in 2009. Further weakness in consumer credit debt is expected with the relief valve of the government cash COF may be a worthy investment. Update 6/13/08: The RTH has risen pretty quickly along with most of the stock market. I would like to go short Monday 6/15/2008. QQQQ seems to be my favorite short sale position. RTH; no real opinion! Affiliate websites to make money. Affiliate marketing is used to generate money on your website. I have found a few quality Affiliate websites that offer many products. With a basic website you can sign up to offer products or services to cater to your website. Affiliate marketing is when you either make money when someone buys something from a site you link them to. Sometimes you may be paid when someone gives personal information to a site to get access to a service or a product. These website all have high standards for products offered. Many websites pay a fee to Affiliates to expand their advertising efforts. Mad Money Cramer education how to trade. Mad Money’s Jim Cramer is a valueable educator hard at work to help the average investor and shed light on the investing world. With out sun light nothing grows or prospers. I really liked some tips he gave on how to spot a bottom in the market. Including ocilator technical over sold indicater above 5 being an important measure in marking a bottom or the VIX going over or at 30.” This is the point he believes a good investor should be sticking his toe in the water. He said to “Buy something at this point in a sell off in-spite of the pain. Play the cycle. People are playing games with emotions. Be careful. With the bottom set in february possible the stock market cycle is bullish. I bought CFC amd sold it with a small profit. I thought Google was a short sale; but, Google is a bull market stock going higher. I would put a $725 Target off the top of my head on Google stock within 12 months. Larry Kudlow of CNBC should be careful of accusing George Soroes and Bill Gates of being anti Capitalism. Being diversified is an absolute must by Cramer on CNBC Mad Money. As a person that has violated this rule because it is hard not to chase a large return. To not put all your money in one basket is hard to do. By diversifying we limit our upside and downside. This is risk management. It keeps us in the game. Cramer advises owning at least five top stocks in five different sectors to ensure diversification. You have to protect yourself from yourself. You will lose money if you break your rules. We are human and not perfect so we need rules. Frailty of humanity makes us go against stocks. We need to not be arrogant. Cramer also advised against ever investing in stock tips because it is either bad information or could be illegal insider information. I have watched Cramer for a couple of years. If you just use a filter to listen to Cramer it is a great show. Cramer also advises investing incrementally. Entertainment purposes only. Help others, ask questions later. Proper utlization of human resources meaning active education and cooperation combined with technology and infrastructure in place without abusive elements would deliver the most efficient medical treatment care system. Michael Moore has done a film on his thoughts about the inappropriate profiteering health insurance corporations carry out. In my opinion they have abused their trust when patient recieved care outside of the network or avoided treatment becuase of fear of costs. Society can provide honest available medical care, and can work with other nations to share benefits. I was recently reading some bible passages online trying to learn more about the contents. I take from all the births and human relations in the book over generations we all have shared interest past and future. Gods is with all of us and in everything. ( update 10 am. On the UNH trade I should try to focus on my timing better. I gave it a shot. Still have about 8 hours for mr. market to wake up and price this stock lower because the Government should be able to crush the profit the one thing UNH had going for it the manipulation of health care costs. I entered the trade when the stock was trading jut over $46. I had seen the lower print and the fraud charges. Then I pulled the trigger at .35 cent 2/15/08 45 puts in the heat of the moment yesterday. I closed out the positions It was an out of the money trade trying to hit a home run. Good chance after reading about it as a manipulation trade ahead of the news. Big money stands to hedge the stock here while it continually repositions. It is an election year. The march 45’s look tempting. Such was his intention when, behold, the angel of the Lord 9 appeared to him in a dream and said, “Joseph, son of David, do not be afraid to take Mary your wife into your home. For it is through the holy Spirit that this child has been conceived in her. The option addict is a website I recently started visiting and am impressed with the quality of stock market information and video’s the author uses. He was bullish going into the week and made a very good call that is well explained in a video he released before the week started calling for a rally in specific stocks. Check it out http://www.optionaddict.net/ I have added it to the blog roll of sites I like to review to stay on top of market developments. Companies Black Berry service is out across the country. http://biz.yahoo.com/ap/080211/blackberry_outage.html?.v=10 Should cause a specific problem for RIMM , and problem could go on. (update 2/13/08 – Stock is trading up recently. My trade timing and call have were wrong to date. The stock rallied with the market. Investors buying are looking at the growth potential of phone users upgraded to the blackberry handsets. Banks have recently been allowed to take mortgages off balance sheets to meet lending standards to make new loans. ( I stand corrected, with further research I found banks and other financial institutions have been using this practice for a long time with regularity making it impossible to figure how bad things could get http://articles.moneycentral.msn.com/Investing/ContrarianChronicles/BanksDarkOffBalanceSheetWorld.aspx ) Not good. This make a lot of sense why bond markets have dried up. People have no idea how over leveraged banks are because of home loans, and corporate buy outs. I take from this the buyout market is dead and not coming back any time soon. That takes a big up side catalyst out of the market. A reinterpretation of how stocks are valued could be a big positive for the market. This has to be balanced out with the other side of the argument about a slower economy. I remember when they changed dot.com accounting interpretations. That led to a big crash. More volatility ahead. One comment that is hard to argue against that people use is how good is your own situation. People do tend to have a harder time finding weakness when they look at how good their own personal situation is. 02/27/2008. http://www.marketwatch.com/news/story/warren-buffett-says-us-dollar/story.aspx?guid=%7B50CE458A-3BB1-4934-83B1-FB368B0FCD66%7D Tech giant Cisco with drew guidance for the year. Then made comments abouts its ability to change with the times. What? I thought they were a telecom fiber expansion play. Google never has given guidance. Google markets crap on the internet and people are catching on. I could see foreign nations not allowing the sale of crap to their people. Google has taken initiative to improve the quality of products offered. Oil giant Shell issued some disturbing news that is could not deliver oil promised to the market becuase of security reasons and what it called sabotage of it’s pipelines in Africa. http://www.marketwatch.com/news/story/shell-declares-force-majeure-nigeria/story.aspx?guid=%7B4AC5EFC0-BDD8-4285-869D-5EABB71CB43F%7D I think the educated trader just sells the market higher every time it goes up. The investor takes his profits. I don’t know who would be a buyer in this market. So, lets take a look at his argument. Companies are trimming expenses and valued at a lower multiple than a few months ago. Going forward this makes stock investment more attractive. Corporations believe the 2nd half of 2008 and 2009 will be good for earnings. The stock market being a forward looking indicator may dictate the bottom is in. The vix hit 29 recently. Meaning stocks volaltility is peaking and may have change directions. Investors are flush with cash and certainly not going down with out a fight. Just have to see what plays out. AAPL and other stocks may be a bargain here. Jim Cramer did an interview last night with the CEO of NYX (NYSE) and it sounded like a tough road ahead. http://www.cnbc.com/id/15840232?play=1&video=639480517&__source=yahoo%7Cheadline%7Cquote%7Cvideo%7C&par=yahoo Increases in volume have been offset by increases in costs. Volume going forward could stay high or it could drop off. I think it will decline as the economy slows and with the rise of the Shanghai trading. After all the last CEO of NYX was fired late last year. Things can’t be great. CME is getting crushed today because of higher trading costs. I think a short is worth a try. Upside seems limited and downside could be higher than thought. Volume could drop off a cliff at some point. MTG a private mortgage insurer looks like an attractive short. MTG has held up and I think is over priced and should go to zero. The company should be worthless when all is said in done by normal accounting standards. If competition is allowed, a recession takes hold, and accounting standards are enforced MTG could go to zero I hope the government progresses in its fight with greed. I do worry because they recently allowed banks to take assets/debts to off balance sheets to be able to continue to loan money other wise not meeting correct reserve requirements. The stock market will crash in my opinion. I would play it with a short in RTH, XLF and or SPY. The market system is broken and not working in my opinion. Service sector contracted to a reading of 44.6 while analysts estimates were at 53. That is a serious miscalculation. http://biz.yahoo.com/ap/080205/wall_street.html . Any reading under 50 indicates recesion or bearish indicator about the economy. So service sector America seems to be hitting a rough patch. Lay off the service employees when things get tight and continue business as usual. Markets no longer crash because the fed cuts rates, doesn’t pay it’s debts, and buy stocks when they go lower. Gotcha capitalism is another article on yahoo this morning. http://marketplace.publicradio.org/display/web/2008/01/04/gotcha_capitalism/ Looks like yahoo pulled the story; but, I found something to show I am not making this stuff up. Must of aggravated a few too many corporations using gotcha capitalism. As in put you on hold until you hang up. Charge you fees when you aren’t looking, and get over on you any way they can. I have plenty of loans I would like to back out of. I’m tired of the government lending money to business’s to get over on me. Tired of the government paying interest on money that is doing nothing. Given the world has limited resources and humans are committed to racing to consume all of them. Interest on idle money needs to be reduced and eliminated as the return on capital reduces. There are answers and money can retain value; but, manipulation makes the problem worse in the end. The unfolding of this may take 5 minutes or 10 years; but, it is better to find real solutions early to avoid disruptions. We have large problems antagonizing other nations and not looking for common ground. We cut are health care standards and military expendutures are out of control. You can’t call people your enemy and fight wars to solve problems. Honesty and understanding will always be the solution to problems. The United States continues to persist that China, Iran, North Korea, Russia and others pos threats to our nation. That is a losing strategy. All people have to be our friends. I think John McCain is too inflexible and committed to violence to bring lasting peace. Romney is too greedy. I oppose all war and realize terrorists are trying to achieve chaos through world wide human suffering, and wars waste natural resources. I like that Barrack Obama is the only candidate who voted against the Iraq war; but, is not afraid to change his opinion with changing understanding of reality. I like that Barrack wants to help the middle class and less fortunate in our society. I like that Barrack has not excepted any money from special interest groups. I do not like that Barrack has been very unclear or lacks the ability to state how he will achieve his goals. Hillary Clinton speaks of achieving similar solution in the future. I don’t think rich or poor people of the world want to live in a morally unsound world that fails to manage for the future. Taxing excess profits at higher rates is a realistic solution to paying for past mistakes and short falls of tax collections to pay for are consumption. Pure capitalism states that humans are better dealt with by ignoring their needs. This will prove to be a disastorous situation if the world races irresponsible to over consume, no population constraints, and a lack of focus on minimizing our actions. The government needs to bridge the gaps of what capitalism has created and where it falls short of desirable results. Sharing world education, forgiveness, managing world populations, security, trade, and minimum standards for the world are key components of achieving a peaceful future. I feel Hillary and Bill are most capable of finding common ground. I would most trust a woman (Hillary Clinton) guided by a man (Bill Clinton) to find the most rational solutions. Barrack may be young and untested; but, ultimately be best for the nation. The future will bring reality as we have guided it. The stock markets long term function is only in doubt with politics as usual. 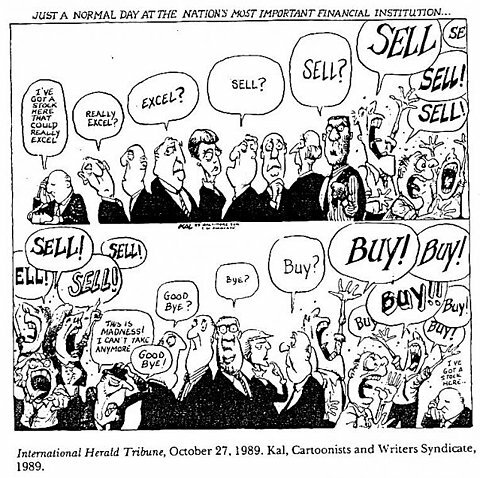 Changing your mind after buying/selling a stock. Many times I make trades into stocks that I don’t have complete understanding of to chase an opportunity. Taking a stab with an educated perspective looking for a stock to move favorable higher or lower. After putting on the position I continue to further investigate the trade. Sometimes I like what I find and other times I realize I missed part of the story. That does not mean my trade won’t work; but, does mean I should adjust my exit strategy to meet what reality is offering me or may offer me. Adjusting your trades to what is actually going on in the market has been very helpful. Don’t be afraid to change your mind. Be flexible and change your mind as your understanding of reality changes. Most traders only deal with a list of stocks they fully understand to avoid this problem. Many analysts only follow one stock or a few stocks so they can be up to date on all the developments in a stock and the surrounding industry. Understanding of ones self will always be an important part of trading successfully. I personally live to find the next big idea or trend in any exciting story. I get too emotional and quick to forget the past. To deal with this I continually work on my trades. Go over my rules for trading. Try hard to resist being overly aggressive. I created this Blog to help myself work on my trading ability. I had to turn off CNBC during trading hours because of the typically manipulation you find in any for profit enterprise. I had resisted the idea of not watching CNBC from the first time I heard about being more successful with the t.v off than on. My experience watching, and with out lead me to believe for the time being I am better off with out it. I changed my mind on my short position on Google or at least realized most of the profit in the trade may be gone. I was able to exit this morning with a profit. GOOG will probably stagnate here and the move higher over time. (Exited Position Neutral on GOOG updated 2/5/08) GOOG is going to continue to trade lower in my opinion. Selling will continue Monday as the stock is not as attractive to investors. Many may sell off the stock because it missed expectations and MSFT is buying YHOO. The Google team is talented and growing. Take a look at the conference transcript link at the bottom from Seeking Alpha. BIDU is taking share in China and can take on searches in multiple languages. BIDU is going after the search market in Japan. The valuation is way too high given the uncertainty of future profits. Where ever there is profits competition is sure to rise up. I don’t think its a stretch to say Microsoft entering the search market buying YHOO will seriously slow growth expectations of Google. http://www.cnbc.com/id/22947600/site/14081545?__source=yahoo%7Cheadline%7Cquote%7Ctext%7C&par=yahoo Nor is it a stretch that earning could deteriorate as a result of customers clicking less advertising as they become aware these ads are often low quality trying to sell something. http://biz.yahoo.com/ap/080201/google_ahead_of_the_bell.html?.v=1 I have been in and out of this stock short the past month, and putting my profits backs to work on the news that MSFT entering the search race buying YHOO. I think GOOG trades back to $450 sooner than later. The conference call was mixed. Google is working hard here is a link to the conference call. http://seekingalpha.com/article/62591-google-q4-2007-earnings-call-transcript?source=yahoo&page=3 Some interesting improvements in expanding different language searches, and a cost per sale option offered rather than a cost per click as a choice of options should boost ROI for advertisers. Growth in the U.K was only 5% and 9% in the U.S.
Larry Kudlow of CNBC negative on the market? Larry Kudlow is still negative on the market; but, wants to believe in a summer rally. (Monday July 28th 2008)Kramer talked about news conference disclosing SEC policy enforcement of Short Selling rules already on the book to protect common Americans and assume people of the world. Stay vigilant Jim Cramer and thoughtful people around the world shall save the rest of the world!!! Larry Kudlow is scared of the bond defaults (January 31st, 2008). At least he seems not his usual confident self. His audience is negative. $2.3 trillion municpal market around the country has systematic risk according to a guest. In my opinion the retirement system of obligations may make it impossible for stagnant areas to pay back the money at some point in the future, and lead to defaults as others recognize these risks. The problems of a pure focus on gr The market is surely going to trade lower tomorrow if the trend is still lower. Kuldow’s guest talked of funding sources drying up with demise of MBI. Bull’s argued derivatives in bonds bonds is where the value in MBI is . No-one really knows where we go from here. Pension funds have to hope this is bottom or they will have to sell to meet funding requirements causing a snow ball of selling. He also talked about long time economist Pual Vulcur is backing Obama. Paul Vulcar an economist Larry thinks acts with good judgement will be helpful. I think Obama is another George Bush with distinct differences. Obama has some good values that will be helpful to all people around the world. With some good economists on his side maybe they can bridge the gaps. I think Hillary Clinton will deliver the better future. Sure makes me feel better being weighted short the market. Market looks like it is trying to find places of good value, and avoiding places of high risk. OIH is up on spreading disruptions in Africa, and the Middle east. Possible up on the big snow storm in China. Some places of value I see buying in are AAPL, CALM, CMED, GLD, GS, ISRG, POT, and OIH. GOOG (Google) Seems to be selling off with investors looking looking to avoid the downside risk, and lock in profits. A bit tricky figuring out how much lower Google could trade. I have been a bit uncomfortable trying to trade, and make good decisions. I put some money into cash. I excited my short in BJS. Just have to keep working hard to find opportunity. I can’t imagine Google doing very well around the world because of the rise of competition in the space. It’s advertising’s fails to meet minimum standards of value in my opinion for the current stock valuation. I like Google as a search engine, and hope the corporation continues its success;but, the share price could go much lower. The market is going lower in my opinion because of changes in business climate due to problems not being dealt with effectively. Be careful, market could go higher on the one week fed rate cut having influence, and another rate cut may be coming Wednesday. I am looking at CALM, GG, CMED, ISRG on my buy list. My economic understanding leads me to believe stocks will be repriced lower because of current prospects for the world economy. The government and banks are showing signs of weakness. No concern or awareness of the rapid population growth of the world, and related risks that may stem from population growth such as over consumption of resources. http://news.yahoo.com/s/livescience/20080127/sc_livescience/humansforceearthintonewgeologicepoch. People are capable of adding value, cooperation, and forgiveness. All people deserve clean water, electricity, food, fair treatment, internet, peace, protected boundaries, t.v.’s, and homes. Embracing these standards would be helpful to turn around the world. Yet, people continue to act disruptively. El Sadr threatening to re-engage in fighting after the cease fire ends. People from all influences need to come together to meet each others’ needs. Security and good judgement is the best thing all people regardless of ideology can provide for one another. http://real-us.news.yahoo.com/s/ap/20080128/ap_on_re_mi_ea/iraq;_ylt=AkS4MpGm1JqKwfb2qejan5RBXYh4 The world needs to use stored wealth to feed, protect, educate, and help all people find shelter, electricity, bathrooms, and maybe t.v. At the same time wealthy should be able to enjoy their wealth while expressing an understanding of others. Americans should not over consume or be scared of people around the world. Excessive profits can be taxed at higher rates. The U.S has historically had a back-loaded taxation on wealth a death to maximize growth. When the laws were made people had no idea how long a person could live or how much wealth could be created. Wealth needs to be passed on in smaller increments. Possible by creating passive grant ownership by the government in large corporations. Minimum standards for all people may be able to be met more appropriately. As a trader and for all the traders that just wanted to have a rewarding career its about value. Not the profits. If people make excessive profits because of unforseen world events. Governments’ with more cooperative, stated, and transparent global welfare standards could add great value to the world. The governments of the world need to decide to work together and not let dogma get in the way. People want others to do well and people failing is very counterproductive because of multiplyer effects. Trade opportunities and transparent markets are most capable of reaching societies potential for prosperity creation. We need to work hard to build on previous gains from history. Society needs to bring security to people. We need to stop giving free checks to people, and let people earn the money they receive. World bodies need to bring in more regulators to make sure money at high levels around the world is distributed honestly and with good judgement. We do not want to fight endless wars. People like to trade and more traders will help provide liquidity to world markets. Trade thrives best when everyone is confident in each other and minimum standards are met. Seeking Alpha is a great website. The site has lots of traders offering quality stock market information. I just read an article thats answers alot of questions about shorting stocks. The article suggest shorting QQQQ and SPY ETF’s if you were goign to try and short a stock. I found the article very helpful. CFC seems to be bottoming with the buy out of BAC. I swear BAC was just ducking personal loans it made and eliminating a tough competitor. I little more bullish on the pair as the real price with capital injections, buy outs, and frauds on the loose. Inflation actually arrived as war appears in the cards with Iran. I love Russia is my last comment) Russia believes it is on the verge of major technology development in the nano-technology group. Still like a short position in GOOG with a major new business product out from MSFT offering cash to devloopers, programers, and the like who want to make money. At Dynamic Microsoft. I short sold GOOG and then added to my position after listening to a guy on CNBC about declining searches and users not clicking ads. Not proud of that (Going to trade with the t.v off tomorrow, too easy to be manipulated) Still want to be short going into earnings. A lot of competition rising. http://biz.yahoo.com/cnbc/080125/22841725.html?.v=1 Wiclapedia is launching a search engine. BIDU is taking 80% of search es in China and just announced its launch in the Japanese market. Declining revenue per transaction around the world is not supportive of GOOG. Looks like a good pop to short. Not taking anything away from GOOG; but, the stock may be over valued. Bull market is making a case going forward with hope. I am long CFC The corporation is a leader in the mortgage refinancing market and should rake in big profits with the increases in loan sizes to 125% of median home value in a community proposed by congress. BAC may a share price offer at $7.50 I believe. Stock should be pretty steady; but, could pop higher when application numbers increase. Some interesting stocks around the world I dug up this evening I wanted to share. Amazing how much can improve in a day with good judgement. My favorites that I found were GFA, and UPL. Lots of others worth looking at. Whats on sale in the stock market? (Update July 11th 2008) The market appears to be oversold. Topstock blog recomended shoring XL and others stocks six months ago. The corporations that can survive this down turn may become buying canidates. I am liking XL an insurance stock with alot of assets and cash. XL will pay out a dividend of over 7% with XL plummetting in value over the last year. I believe the market is trying to get where ever it needs to quickly, and the Fed’s leader Bernanke is very aware of what is going on. Some assets were overpriced forward looking. Sustainability and surrounding morality issues are in my mind. A few stocks are tempting at current prices. I might buy CALM because it is oversold, starting to act well, and my favorite sustainable growth story. CMED and YGE look tempting to buy particularly with China’s sell off Monday. All stocks may open lower making for a good entry point. Things in the world are getting more tricky with the sell off over seas. Trying to be careful. I wish I could of got into GS at $187 this past summer. $187 for GS now looks not as tempting. Too many people still want to buy into this market from my bear market point of view for stocks to stop declining. On the other hand corporate America is healthy and stocks could rally when the Fed cuts rates. I just read an article from Ben Stein about the market not being a bad time to invest. http://finance.yahoo.com/expert/article/yourlife/62337;_ylt=ApROSGTguIHTte4UKci.aqa7YWsA Overseas markets are getting hit hard Monday on fears about the recession in the United States. U.S. markets are closed in honor of Martin Luther King. Mcdermitt (MDR) a top infrastructure builder around the world looks to be a good value around current prices. Apple (AAPL) showed off a new micro laptop at Macworld. I thought it could becom the next big hit in a few years if they could get the price affordable for average consumers. Getting started in the stock market is a hard thing for most people. My first two investments in the stock market went broke. I was drawn to a strong company with state of the art technology, and a cheap share price C.A.I. wireless. The company ended up doing very well and merging with a larger player in the market a few years latter; but, not before the stock I purchased was declared worthless. The second stock I invested in was Caldor a now out of business retailer. I invested because it was a penny stock and I had good memories of the company from when I was a little kid. Look to companies that can give your kids good memories; not, companies that gave you good memories. The world is ever changing and emerging opportunities can be found. Lesson to be learned is avoid penny stocks most of the time. Most penny stocks lose value and end up at zero. Hard fact to swallow; but, the truth. Don’t try to make money right away or too much money. Price of stock is not important. If you find a top penny stock or I find one I will be happy to point it out. I don’t know of a single penny stock worth owning currently. Don’t focus on the cheapest stocks. A stock from 50 to 100 is double your money. As a stock going from 10 cents to 20 cents is double your money. However, the risks are totally different. A stock with a fifty dollar share price is very unlikely to go to 0. A stock with a 10 cent share price has a good chance of reaching 0 at some point in the future even if the technology is top notch. Investors in bonds will pressure the company by both short selling the common stock, and pressuring management to cancel the common stock to preserve the money of bondholders. Money, good judgement and hard work are all necessary to making more money. Good judgement, financial resources, and experience can only be accumulated with hard work and time. I have included links to helpful websited on the website in the blog role to keep you on top of market events. Be weary of fraud in small stocks. You can create a portfolio of stocks to watch at yahoo finance. Invest for fun first. Invest with no money on line. Develop your understanding of the market and inbiassed learning is more effective when you have no money invested. Stay positive! Some small stocks will publish lots of overly optimistic news for months, and then disappear leaving trusting investors broke. Stocks go up when people are buying and down when they are selling. It is too easy for a large investor to manipulate the small stocks. So find mid cap stocks going up if you must triple your money and expand your time frame for this to happen to longer periods of time. After a few years of investing you can invest in options, go to work for a company like Bright trading or invest in the futures market to get more leverage on your money. Without experience, education, hard work, and good luck you will lose money. The market rules may seem set up to defeat the new investor; but, they actually serve to protect you from being overly aggressive. Don’t try to be the first investor to find a stock. Look for stocks that have earnings and revenue growth going forward. Look to stocks going higher in price, and stocks that experienced people are talking about. Try to enter top stocks on a pull back. Set up a stop loss price. A price you will get out if the stock moves lower. Carefully come up with a plan on how often you are going to trade, and how many stocks you are going to own. The trend following system I created can be used to start out or to come up with your own ideas on investing or trade. Talking to a financial planner may be appropriate if you want extra help and can afford it. Don’t try to force things. Wait patiently to get in the right stocks at the right prices. Read any helpful books you can find. A book on technical analysis will be needed. A book on fundamental analysis would be helpful. The more books you read the more knowledge you will pick up. Stocks generally follow the economic cycle. We are at one of two places at the beginning of a bear market or end of a bull market. Tough time to make long or short term investments. You will need to be patient and look to find an industry that is going to be able to meet its earnings in any environment. Draw back of a margin account is you pay interest that can be hard to overcome in a challenging market. The benefit is you can look to short companies that you believe may be weak going forward. You will need two thousand dollars to open a margin account. Find a brokerage company that is well known, affordable, and meets your needs. I use Scottrade Securities. Last month an article said this would be disastrous for the company when they were put on watch by Fitch as two chairman stepped down. The company has exposure to homeowners insurance among many other problems areas of the insurance business model. The company should have a hard time going forward. The limited time this company has had in the spot light over its exposure to the housing market indicates to me an opportunity to short unexploited. Company breaking out lower of a consolidation pattern. The argument against this trade is the company has alot of cash, earnings, and assets to offset the losses. Earning come out in early February and I hope will put a big dent in the share price.